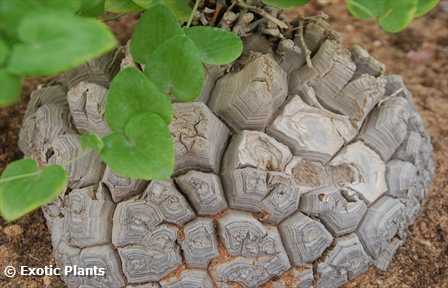 ﻿Dioscorea elephantipes (syn. 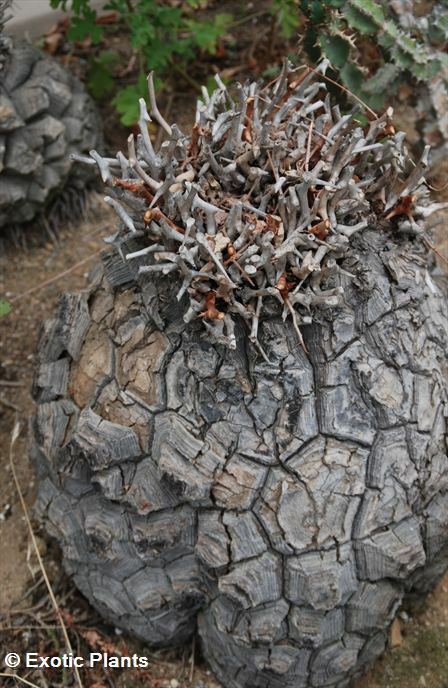 Testudinaria elephantipes), also known as elephants foot is one of the most beautiful, weird and wonderful, caudiciform plants around! 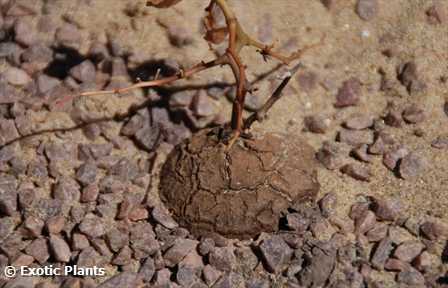 Dioscorea elephantipes has a deeply fissured surface, resembling an elephant's foot, hence its common name. It makes a most interesting container plant. 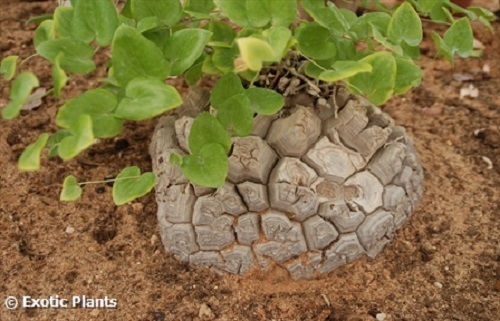 Dioscorea elephantipes is summer deciduous and is a perennial geophytic climber. In summer the leafless plant conserves energy by dropping its leaves, just before the onset of the summer heat. 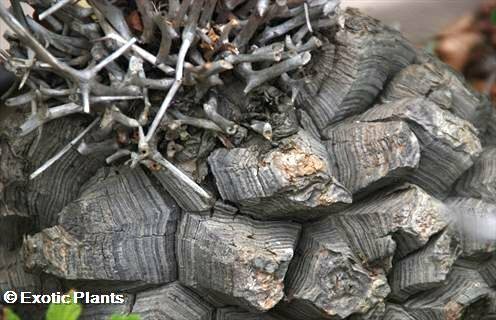 The plants are monoecious, that means the flowering sexes are found on separate plants. The stems grow in a climbing fashion. The leaves are heart-shaped. Male flowers are erect with spiny racemes. Female flowers are in spinescent, spreading spikes. Flowers are pale greenish yellow and normally appear in winter.